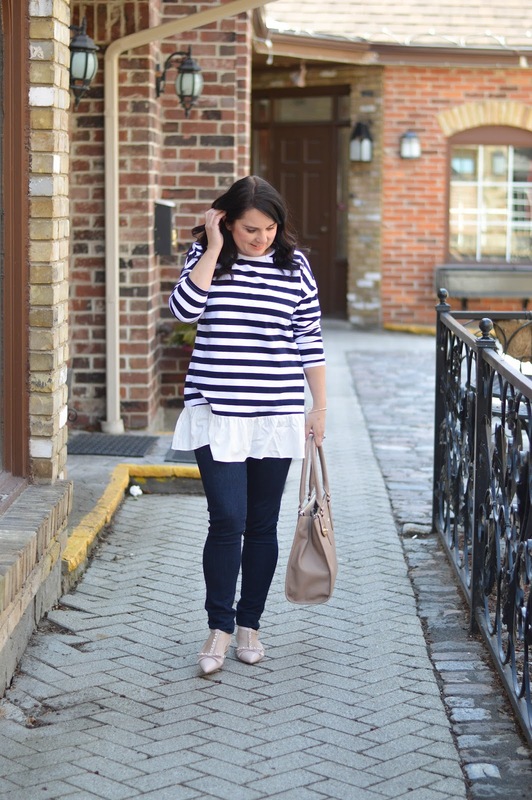 It was so lovely this weekend that it was the perfect chance to get outside. 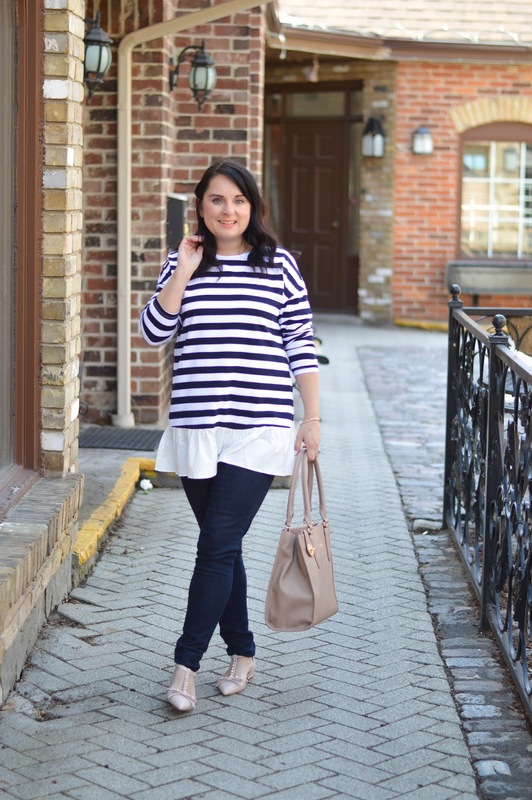 I love this stripe flounce hem top from SheIn with a pair of skinny jeans to run errands. 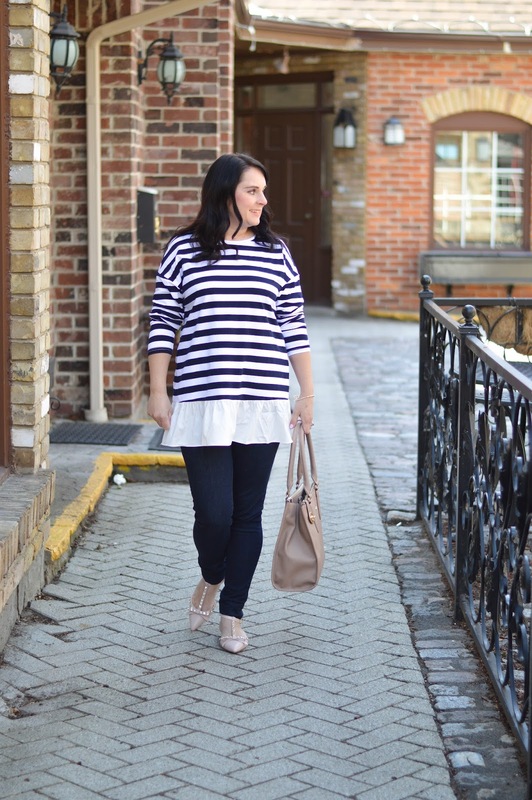 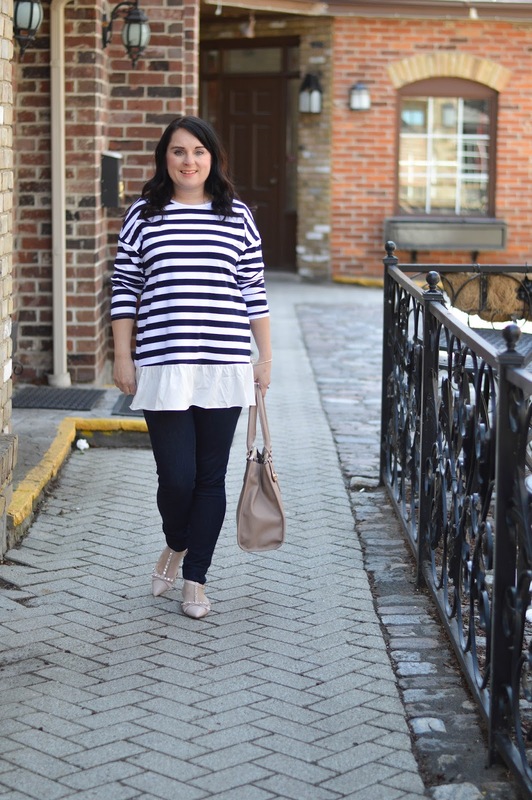 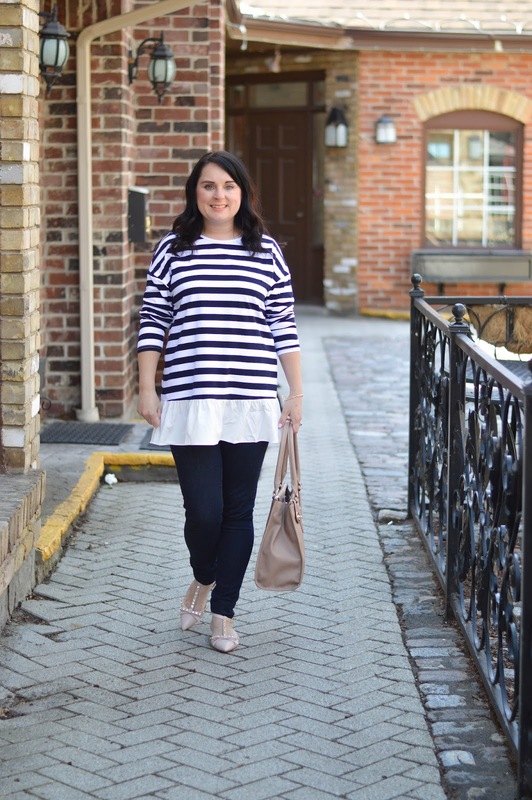 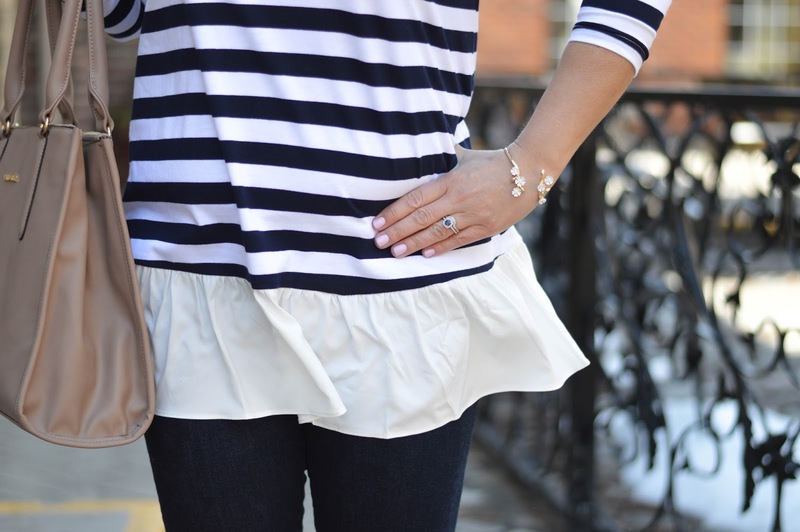 Stripes always look fresh for any season and who doesn't love a nautical inspired colour palette.